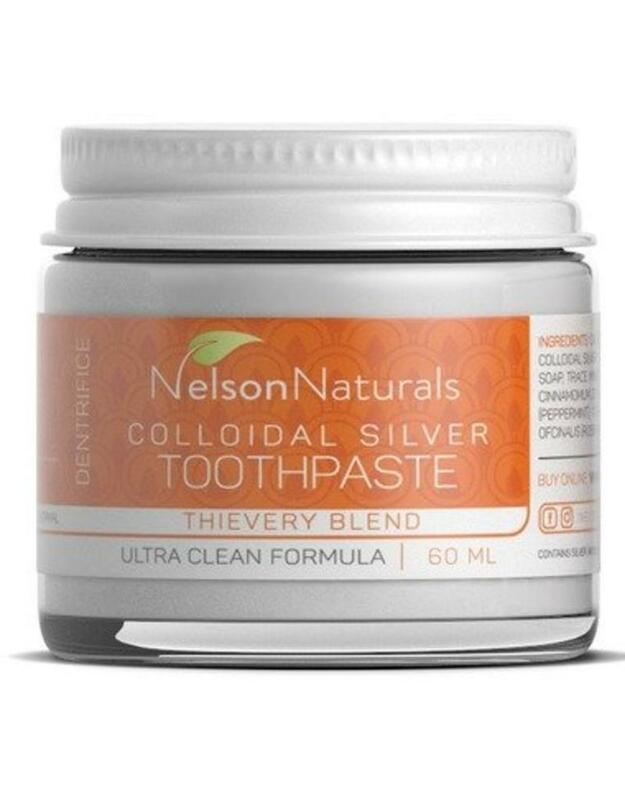 Nelson Naturals mineral rich toothpaste combines powerful and effective ingredients to create a product that is not only as good but better than chemical based toothpastes. 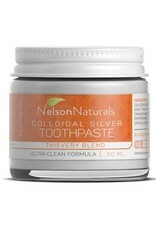 This is Nelson Naturals' take on the powerful and popular Thieves oil blend. This exciting flavour has hints of mint, cinnamon, citrus, rosemary and clove. Ingredients: Calcium Carbonate, Sodium Bicarbonate, Xylitol, Sea Salt, Colloidal Silver, Castile Soap, Trace Mineral Concentrate, Essential Oils of Sweet Orange, Cinnamon, Clove, Rosemary, & Peppermint.